First impressions matter...even when we're talking POS hardware. When it comes to the technology we use at our front gate, people notice. First, our employees notice, and they see either an agile, responsive, lightweight system or something that came from last century. Our guests notice too and the hardware we use tells a story--we're a fresh, hip destination...or a dinosaur. Your choice of POS and Peripherals matter. Today, it's all about being light, fast, and efficient. It starts with your software--whether server or cloud-based--the speed of your software matters...the more responsive it is, the quicker each transaction is. It continues with your front gate hardware. Today, hardware is becoming more mobile, using tablets without a keyboard or mouse. These units are often free of excessive cables that traditional terminals are known for. Instead, these terminals use Bluetooth and wi-fi connected devices to communicate to peripherals. Not only are they more agile to use, they help maintain a clean, clutter-free ticket counter. Today, our guests are using more than just plastic. They are paying with their phones, smartwatches, and even with stored value services like Gatemaster's ParkTabs feature. From a guest perspective, it's all about the flexibility to pay how you like. 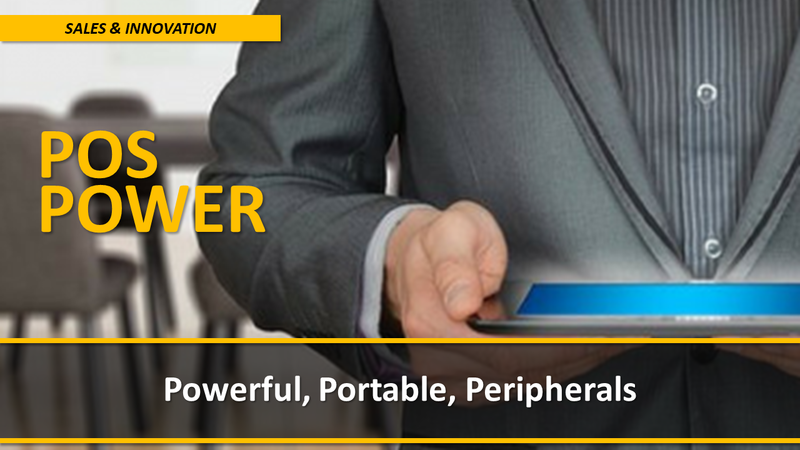 From an operations perspective, the solution is often to combine the tablet's protective case with scanner/reader technologies that are packed with the versatility to satisfy a myriad of security and use requirements. These time-honored peripherals are fading into the sunset. The reason being that more and more guests are opting to have their receipt and even tickets emailed to them. While receipt printers may remain an option for some time it is important that you also stay current with the new ways in which people choose to receive information. There are many other options and features available to front gate operators. The key is balance power with mobility. Have a great week!